Say thank you with some sweet and savoury treats ! 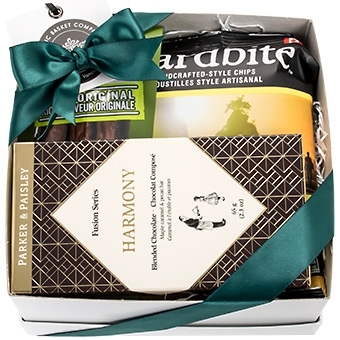 Our mini gift box contains a bag of original Harbite potato chips, Freybe pepperoni and a Harmony chocolate bar by Parker and Paisley. Box size 6x6x3"